A real sports sedan – can such a thing exist? 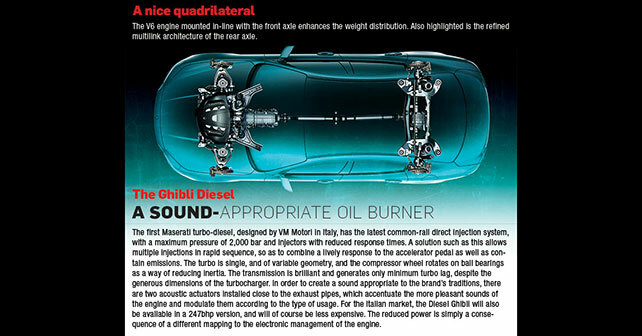 It turns out that it can, and the Ghibli proves it. It also demonstrates that you don’t have to be German to be a sports sedan worthy of its name. Moreover, it proves that thrills can be had even with a turbo-diesel under the hood. 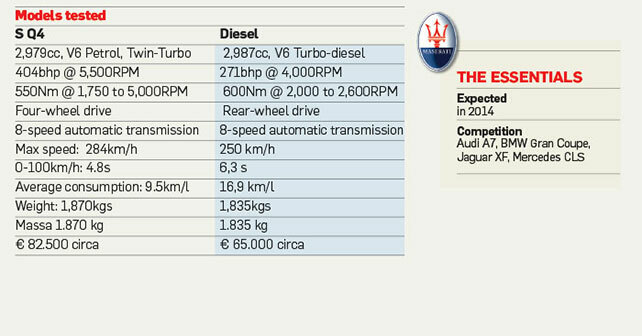 Have you ever wondered why the Quattroporte has become so extraordinarily massive? No, they didn’t suddenly go mad in Modena, nor were they driven by any delusions of grandeur. The truth is a bit more prosaic! There was a need to create space for a model that didn’t exist earlier, but now does – the Ghibli. The name certainly isn’t new, and this time it christens a sedan that, though smaller than the Quattroporte, certainly isn’t all that small considering that it stops 3 centimetres short of measuring a full 5 meters. Its mission couldn’t be any clearer – to compete with the great German-made classics. It’s a complex operation because it entails taking the Trident out of its traditional luxury space without devaluing the brand. The Ghibli’s dashboard doesn’t share anything with its big sister. The horizontal lines give way to a vertical design, even if there remains that typical good taste of Italian flagship products in which the quality of craftsmanship, and the sumptuousness of the leather, shine through. The real novelty, however, is in the instrumentation – which, for the first time, features a tachometer with a redline that starts before 5,000rpm. That’s right, the Ghibli even includes a diesel engine – please don’t tear your hair out in outrage over this degeneration of tradition. It’s much better to hit the start button instead – on the left, and slightly hidden. The three litre engine, at idle, has a slight vibration, but from the point of view of sound there really isn’t much to complain about. 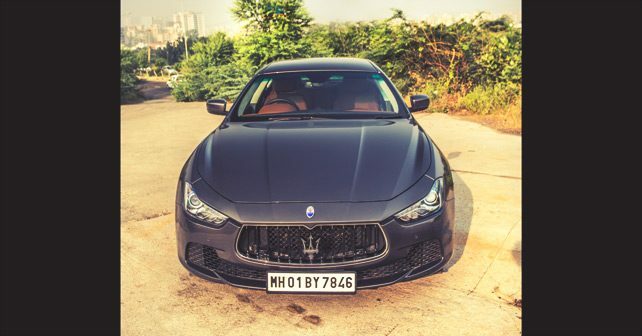 The ‘sound of the diesel’ is reduced almost to the point of being ‘soft,’ and the rest is taken care of by an exhaust note that’s reminiscent of a V8 – especially with the Sport button pressed, which in turn triggers the Maserati active exhaust system. From the point of view of pure performance, there’s nothing particularly original with respect to the aforementioned German rivals, but the 271bhp guarantees thrills thanks to the quality of the chassis. As with the Quattroporte, the driving miracle reoccurs, and in the end you end up having more fun with the Ghibli than with a majority of coupes. It’s precise, sharp, and quicker in response than any of its admittedly excellent rivals. Some BMW’s approach its levels in terms of efficiency, but this Maserati has an aura entirely its own, and an incredible capacity to make the driver forget about the two tonnes of weight he or she is lugging around. Maybe it’s the front wishbones, the rear multilink, or the perfect weight distribution between front and rear axles – the Ghibli is just very capable, and can be even more powerful when there’s the 404bhp three-litre bi-turbo petrol engine under the hood. In this case, the power becomes truly scary, and the high-revving nature of the petrol engine becomes an integral and indispensable trait of this proper sports saloon. We tried out this engine in conjunction with the four-wheel drive, and it makes the Ghibli even more predictable. The safety and ease of driving benefit from this greatly – only to the performance extremists will it seem like the all-wheel drive Q4 is any less savoury to drive. But, let’s be frank, these are trivialities in a car as impressive as this.